The icon makes a comeback with the Smith Lowdown 2 Sunglasses. ChromaPop™ lenses improve color and contrast, while their Evolve™ frame provides you with a lightweight and eco-friendly fit. Updated with a new surface design and flatter lens curvature, the Smith Lowdown 2 Sunglasses are set to continue their reign as one of best-wearing lifestyle sunnies in the game. Anti-Reflective Coating  Vacuum applied, Anti-Reflective coatings on the back side on the lens will eliminate bothersome sidelight reflections. Hydroleophobic Lens Coating  A water and oil proof coating. Repels moisture, grease, and grime. A barrier between your lenses and the world. Water will bead up and disperese without streaking. Smudges from fingerprints are wiped clean easily. ChromaPop™ [Select Colorways]  ChromaPop optimizes color and increases clarity, enabling you to see the outside world with an unparalleled level of vibrancy. 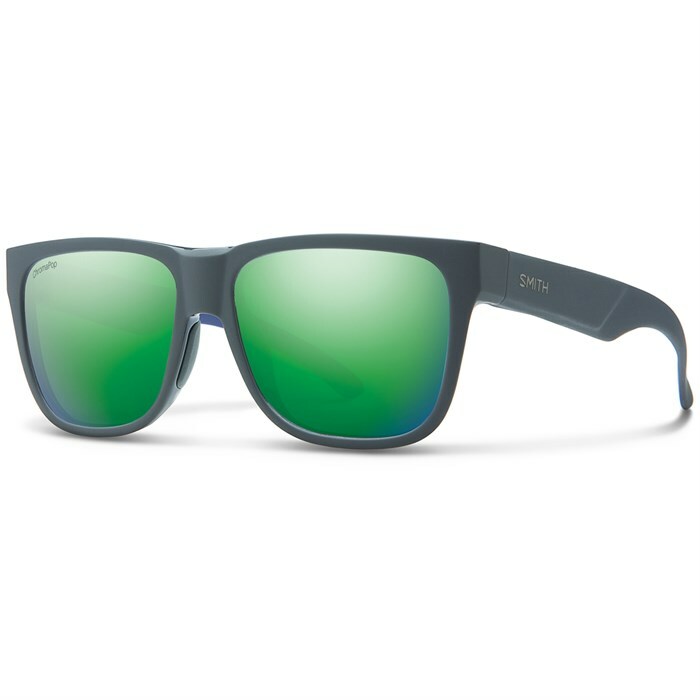 ChromaPop™ Polarized Lenses [Select Colorways]  A proprietary combination of patented polarization and color management technology creates incredible clarity. ChromaPop lenses maximize color and contrast by improving the speed of visual processing so you see truer color, faster. Evolve™ Eco-Frame Construction  Smith's proprietary Evolve material incorporates 53% bio-based material into their injected-polymer sunglasses. Smith sunglasses are the largest eco-friendly sunglass collection in the world. Hydrophilic Megol Gel Nose Pads  Gently grips your skin to keep the frame in place. The gripping power increases when introduced to moisture.